When we know a modern Hanzi, finding its seal script equivalent in a dictionary is not a problem. However, a more common case is that we have an existing seal script character we cannot identify, and we want to know which modern Hanzi it represents. How can I look up seal script characters that I cannot recognise? I'd be most interested in electronic resources (websites, computer programs, phone apps), but information about paper dictionaries is also OK. Looking up seal characters is not as hopeless as other answers seem to indicate, even though it is considerably harder than looking up modern characters. In any case, the lookup needs to consist of identifying which component of the seal character is the radical and finding the character in the corresponding section. Identification of the radical needs to be done by trial and error, as there are no fixed rules that an be applied when you don't know the character in the first place. Use a paper edition of 說文解字 Shuōwén Jiězì that contains a seal radical index. Note that most modern editions of Shuōwén have seal script headwords, but their indices use modern characters. Use an online list of seal radicals to find out the number of the radical, and find the character in the corresponding section of Shuōwén Jiězì. The radical numbers are equivalent to Shuōwén section numbers (this is where the name 部首 “section headers” comes from). Use Wenlin and choose List -> D. Shuowen Seal Radicals. This will give you a list of 540 seal radicals, and clicking on any of them will give you all the seal characters listed under this radical. This is much faster than looking up the character in Shuōwén, especially when you are not sure which component is the radical (部首). Note that Wenlin lists are based on a Qīng Dynasty commentary on Shuōwén, 說文解字·注, not the original, Hàn-era 說文解字. the list of Shuōwén seal radicals ordered by their token frequency in Classical Chinese texts (based on Jun Da's Classical Chinese Character Frequency List). The former list begins with radicals that are the simplest graphically, and the latter one presents the most frequent radicals first, which makes it much easier to find the radical you're looking for. I am native in Chinese. To be honest, the majority of Chinese people don't recognize the seal scripts though they seem some kind of beautiful. I search some Chinese websites and can't find a better one which can offer e-dictionary.The following website only shows the most common seal script, hope it helps. You also can use baidu.com (China google) to search more information or email me emailyoungnic@gmail.com. For a freely available method, Guoxuedashi offers an interface to look up seal script characters. Find on the list on the right hand side of the page. Click the seal characters. They should appear automatically in the box labelled 輸入部件. Click 查找. A list of the seal characters with these components should appear below. Click the link for the corresponding page in regular script, with a wealth of information. Good paper dictionaries also give the seal script character for each entry, see for example 國語活用辭典. To look up seal characters, you will have to learn how to recognise the radicals. It is actually not too difficult and quite fun! It is also good to get used to that components sometimes are loose – components can be arranged differently from what you might be used to. This website helps to convert modern Simplified Chinese into Seal Scripts. Each Simplified Chinese character may be corresponding to several different Traditional Chinese character. And the computer software may not gives the right conversion. Each Traditional Chinese character may be writtern in several different ways in Seal Script, while this won't cause any error though. 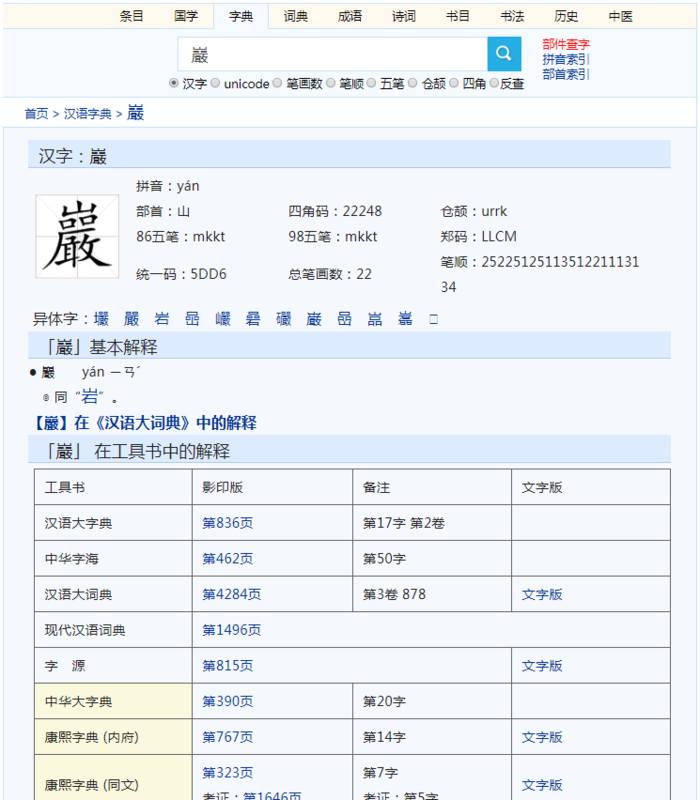 MunHo mentioned a website ChineseEtymology, which is the best one in collecting the ancient writing styles. Not the answer you're looking for? Browse other questions tagged character-identification characters seal or ask your own question.